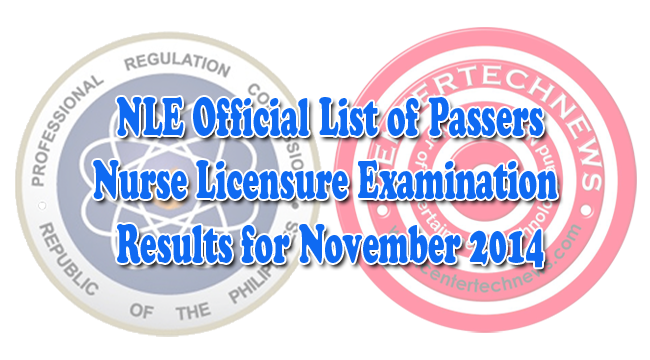 Professional Regulation Commission (PRC) released the list of Top Performing schools for the Nursing Licensure Examination (NLE) held last November 29-30, 2014. As announced on January 23, 2015, there are four schools who were able to bag the highest rank in the list with 100 percent passing. Xavier University had most number of students among the four highest ranking schools with 157 test takers able to pass with 100 percent. Remedios T. Romualdez Medical Foundation have 108, Saint Paul University of Tuguegarao has 66 while Saint Paul University in Ilo-ilo had 50 test takers. All of the test taker from these school had passed. As mandated by Commission Resolution No. 2010-547 series of 2010, the list of top performing schools for NLE must be presented by PRC together with the list of passers. Universities and colleges aspire to be in the rankings as they can take pride with their quality education.